American technology writer, editor and online community manager. Loves to explain how technology can, indeed, improve the quality of life and, since 1992, translates geek-talk into English. 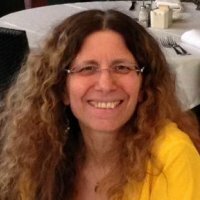 Longtime tech industry journalist, wrote thousands of magazine articles for top publications, covering a huge range of subjects: business features, case studies, software and hardware reviews, computer industry news, tips and tricks, interviews, industry analysis. Microsoft’s biggest and most dangerous contribution to the software industry may be the degree to which it has lowered user expectations.